Selling ADHD: New York Times reports on the big business of attention deficit hyperactivity disorder. Who Wouldn’t Want an Adderall Prescription? Over the weekend, the New York Times published a thorough investigation of the explosion of attention deficit hyperactivity disorder (ADHD) diagnoses, which has been hugely profitable for pharmaceutical companies that sell drugs, like Adderall and Concerta, to treat it. Under the headline, “The Selling of Attention Deficit Disorder,” reporter Alan Schwarz writes that 15 percent of high school kids now have a diagnosis, and the number of children on medication to treat it has grown to 3.5 million, up from only 600,000 in 1990. “The disorder is now the second most frequent long-term diagnosis made in children, narrowly trailing asthma, according to a New York Times analysis of C.D.C. data,” Schwarz writes. The big story is that experts like Dr. Keith Connors, who helped establish ADHD as a diagnosis in the first place, have now started to raise the alarm about overdiagnosis. 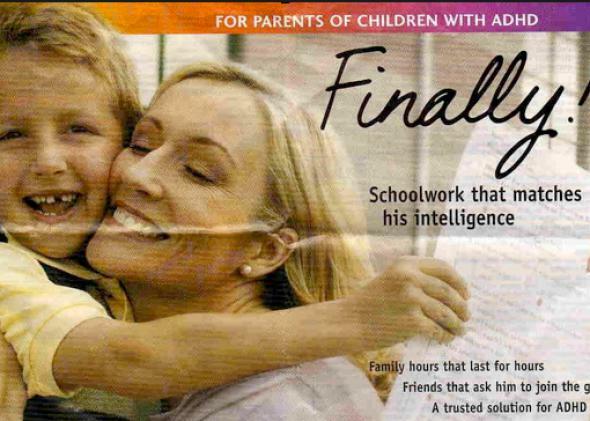 Schwarz’s piece shows how the ADHD business has been “good” for everyone. For students, access to Adderall can make their work easier. Parents, of course, love seeing those grades improve and homework get done with fewer complaints. Teachers love the drug so much that they’re often the first people to suggest it. There are benefits for doctors and even for medical journals. I’m glad to see that Schwarz’s piece is at the top of the New York Times’ most emailed list, but still it’s hard to see turning back the tide. The drugs have become so appealing that adults are getting in on the action now, too. They even get their own ads, featuring sexiest man alive and ADHD sufferer Adam Levine telling us to “own” the disease. The rate of adult diagnoses of ADHD has been growing as rapidly as the rate of child diagnoses. It seems that it’s hard to convince people that Adderall overuse is a problem when, frankly, it feels more like a solution.